Welcome to JoElla Milan Skin Care Blog. I bring you up to date information on the top healthy skin care products. The products I sell are either Chirally Correct, natural, vegan, organic and just plain good for the skin. Also they are the Best for Less. The best products at the best prices. Log in and Save on each purchase. Enjoy reading my blog. Osmosis Stem Factor has always been a top selling product. Now it is reformulated, taking it to a higher level. Read what Dr. Ben Johnson has to say about it. Skin Cancer, we all hear about it, but do not think it will happen to us. Especially when you are younger. I know I was always warned when I was young, but I really did not care. I wanted to look good. Are you impatient with your skin care products? Do you expect miracles overnight? Any good product that makes changes in your skin takes time. Are Your Skin Care Products Working? Are Your Skin Care Products Working. Are they penetrating the skin and doing their job? Disrupter Harmonized Water is the latest water released by Osmosis Skin Care. It is a very unique product, compared to their other Harmonized Water. This Facial is just to give you an idea of what you may do at home. You do not need every product. Use what you have. Men love a fast routine for their skin care. If they had their way, they use the product in the shower and after shaving and that is it. Now I have combined 2 of my favorite products in an easy kit to make it easy. with that saggy chicken skin. I know I sure did have it, and now it is gone. 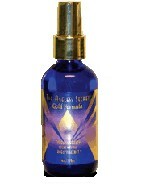 I am so happy many of you are realizing how wonderful Viktoria De Ann products are. and disorganized Collagen to help bring you the results you are looking for. This protocol is suggesting products depending on the severity of your acne. I cannot stress enough how this product line can change your face. It can take 10 or 15 years off. I am a believer. Viktoria De Ann to me is the best peptide product on the market.. It works like no other product line does. They have recently come out with products, that round out the whole skin care routine and the needs of the skin. 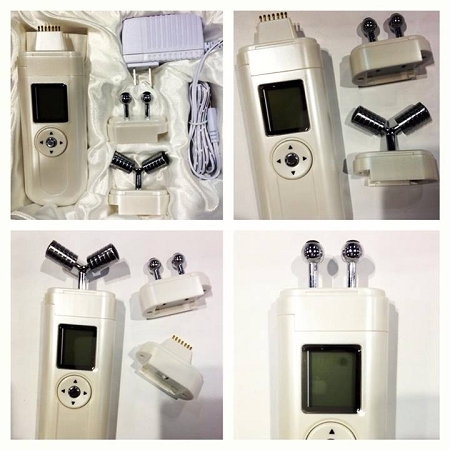 l have such wonderful skin care devices now at a great savings for you. I had to work this out with Saian. These are professional devices and not just stuff you purchase on Amazon. If you think Thanksgiving worries are all about your waistline, better think again. True, the stuffing and yams are waistline busters, but sugar-filled desserts not only add calories, they can also cause skin damage and aging. If you’re like everyone else, think again. The Rejuvel 3D anti-aging skincare is pure science. This highly advanced formula is lightweight but intensely nourishing. It does so many wonderful things for the skin. All in one product. How to get rid of wrinkles? Peptides. That is the answer. You must use them twice per day for results. I call them the miracle ingredients. This article has many helpful hints on saving and irritated skin caused by shaving from Ken Simpson..
All the years I have been selling Meg 21, I just found out how amazing the Refine and Refresh Toner is. It is not just a toner, but an excellent anti-aging product. Viktoria De Ann to me is the best Peptide product on the market. I know personally how it transformed my face. 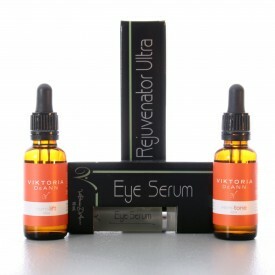 A unique product that Viktoria De Ann sells is Rejuvenator. It comes in 3 strengths, Mild, Regular and Ultra. I went right to Osmosis head makeup artist to get tips on how to use the new Long Wearing Foundation. It is also a mineral makeup so using these tips will bring better results. Do the Quick Fix Skin Care Products Work For Firming? I am always receiving emails on products you either see on TV or infomercials. Most of the products advertised, I would show caution before purchasing. Restore is extremely important in helping to maintain and promote health inside the body. It repairs protein oxidation, pulls out toxins and reduces inflammation to keep the body balanced. Is it pigmentation or Pre-Cancer. Only your doctor can tell you that. If you have some pigmentation spots you have been treating and they do not seem to be improving, you may want to have your Dermatologist take a look. Mina Kim is the CSO of Dr. J Skin Care. She honestly has the most beautiful skin you have ever seen. Very clear, even toned and luminous. She shared with me that years ago she had pigmentation. Using the Dr. J Products have completely transformed her skin. Mina is a very elegant woman. 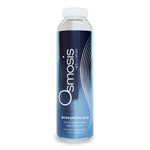 Osmosis just came out with their new product Clear Plus. They already have Clear on the market. I am sure some of you are wondering which one to choose from. 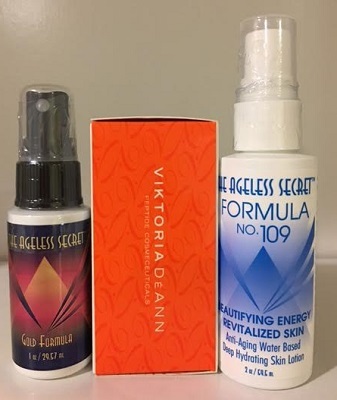 Viktoria De Ann Skin Care line are some of the best products I have ever used. I highly recommend them. They may be used on all skin types. I use to have turkey skin on my neck. That ugly bumpy looking skin. My skin was also red and blotchy from all my years of sun damage. I have been extremely happy with Starlight and Intoxicating by Illlusia Prestigious Skin Care. My skin looks so good. My pigmentation is breaking up and slowly disappearing. 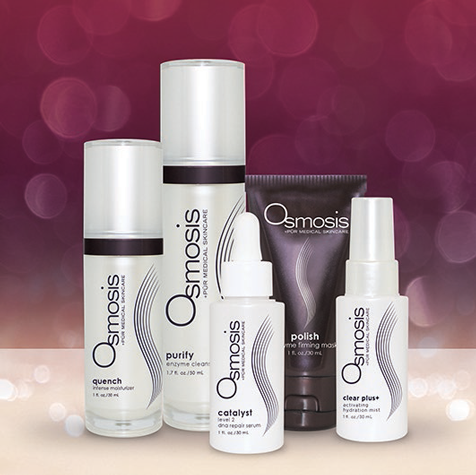 Osmosis Skin Care has come up with a new approach to their skin care regime for acneic skin. Prior they suggested using Clarify. Even though Clarify is now recommended for spot treatment, there is a new way to fight acne. 1) The type that is performed on the outer layer of skin, the epidermis, by a qualified esthetician, and 2) the type performed on the dermis or primary layer of skin by a physician. Alpha hydroxy acids (AHAs) are widely used to exfoliate the epidermis. However, these acids are not friendly to the skin, regardless of the color of the skin (e.g. pigmentation). I met Dr. Zein Obagi last night and found we agreed on many skin care issues. I have never been a lover of Obagi products, as they are too harsh on the skin, so I was pleasantly surprised. One of the first things I am asked when people meet me is "why I do not have any wrinkles." Of course I say Peptides. Many people have not heard of them and are fascinated. When you start with new skin care products, it is best to go slowly. Let your skin adjust to the new ingredients. Then you may get on a regular regime. I have carried the Ageless Secret several years now. I personally know the product works and so do my clients. Where Did My Wrinkles Go? I love this title and yet it is so true. I am writing from personal experience. I am in love with peptides. I feel they are the biggest asset to the skin care market. I carry 2 lines that I feel are more advanced than others. Karin Herzog For Asian Skin as seen in Audrey Magazine.